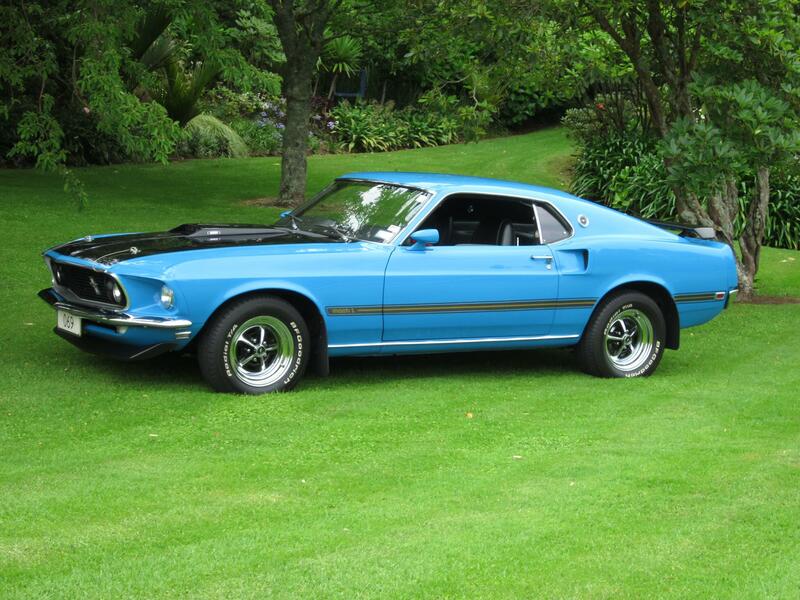 This week, we picked this ’69 Mach 1 as our collector car of the week. The Mach 1 was a package that was available on one of the three bodystyles of the 1969 model year. The standard engine in the Mach 1 was a 351ci Windsor making 250hp. Other options included a 390ci making 265hp, and the top of the line 428ci Super Cobra Jet making about 410hp (rated 335). Many upgraded parts were added based on engine choice, such as heavier springs and shocks or thicker sway bars. For the transmission, choices were a 3 or 4 speed manual, or a 3 speed automatic. Some of the most visible additions to the Mustang Mach 1 were the optional shaker hood with hood pins, and the matte black hood treatment. There was no way anyone could mistake the Mach 1 for any other Mustang. In 1969, Performance Buyer’s digest broke 295 USAC speed and endurance records when testing the new Mach 1. This classic car has a great history, and Ford produced them until 1978. In 2003, they brought the Mach 1 name back for one model year, only to discontinue it with the introduction of the new Mustang body style in 2005. Thanks to all who submitted photos! Keep an eye out next week for Collector Car Wednesday. If you have a Mustang or another collectible you’d like to insure with us, let us show you how we are more than just another collector vehicle insurance company. We want to protect your passion! Click below for an online quote, or give us a call at 800.678.5173.